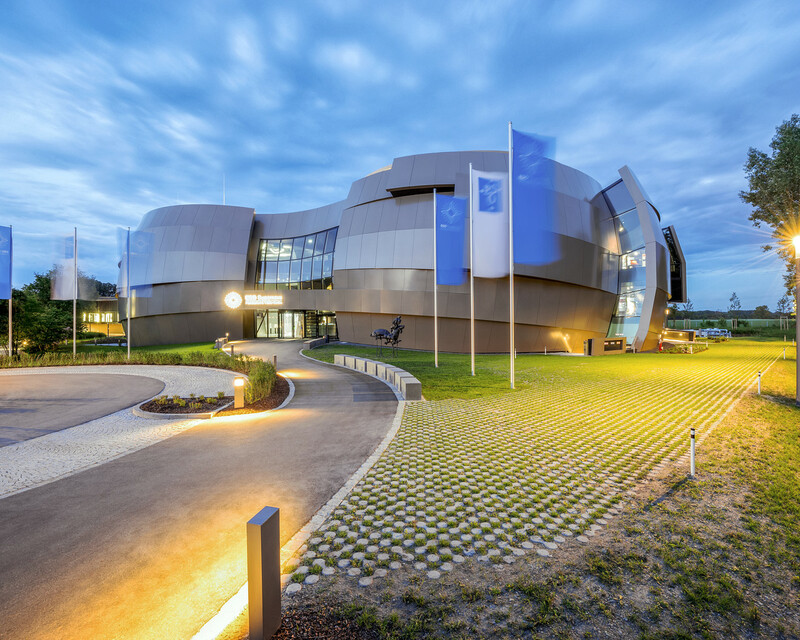 The ESO Supernova Planetarium & Visitor Centre provides visitors with interactive and inspiring exhibits, shows, and tours centered on astronomy, the universe, and ESO's research. 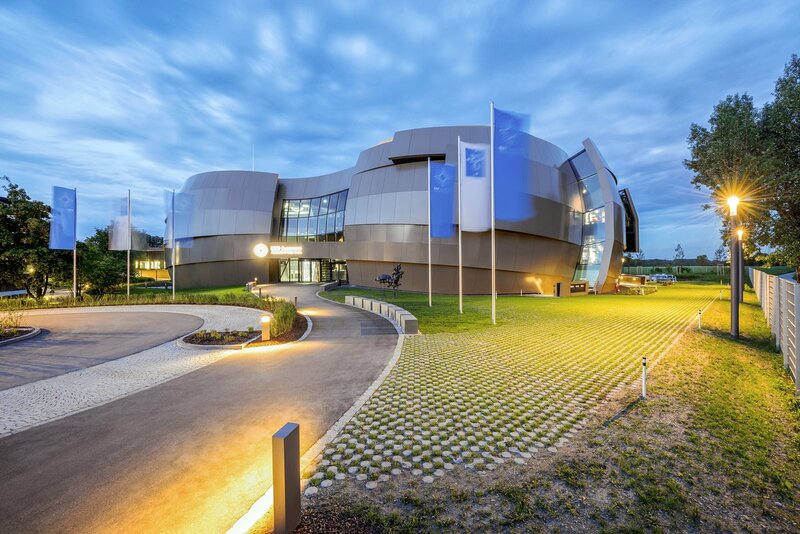 The building is Garching, Germany's newest architectural landmark, designed by Bernhardt + Partner to mimic a binary star system approaching a supernova event. 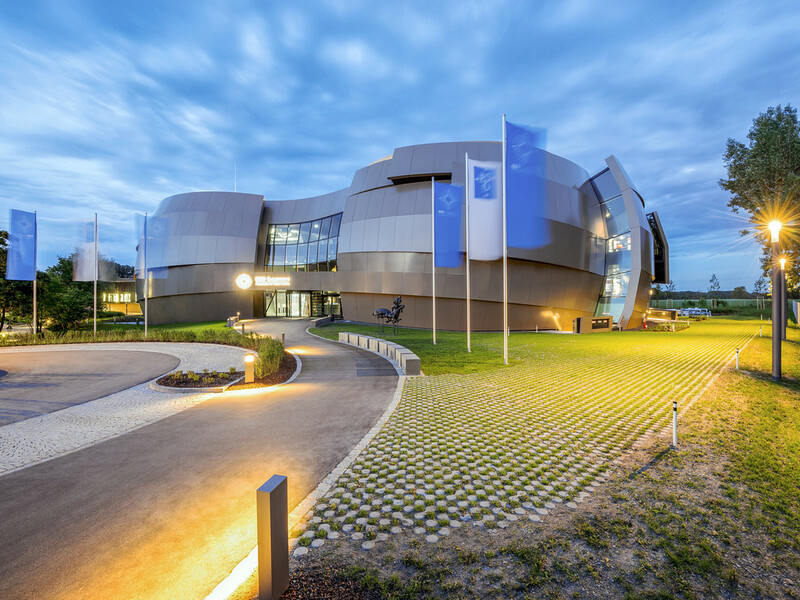 Entry to the exhibits is free for visitors of all backgrounds and ages, while the planetarium provides worldclass fulldome shows in the largest tilted dome theatre in Germany, Austria, and Switzerland.